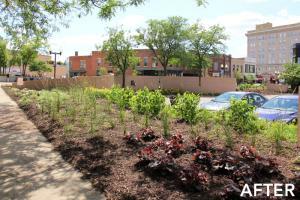 Want to help give life to public spaces through Forest City Beautiful? Please consider donating! All you have to do is text BLOOMS to 24375 to donate! 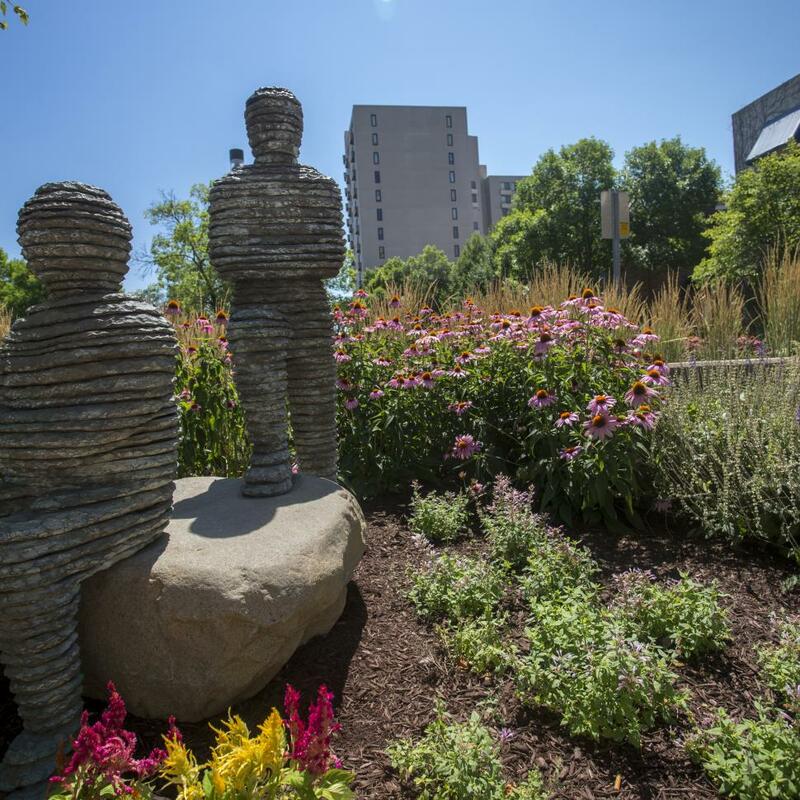 Since its inception in 2014, the initiative’s focus has been to improve downtown civic spaces by restoring public landscapes, installing and planting 75 planters and installing 9 public art sculptures for local residents and visitors to enjoy. Now in its third year, the program expands to further enhance downtown streetscapes, way-findings, walkways and public areas within the River District. Today, RACVB and the RDA announced that the Community Foundation of Northern Illinois (CFNIL) continued their ongoing support of Forest City Beautiful by contributing $38,614 from the Bengt & Mary Kuller Endowment fund. The grant will help to offset the costs of purchasing and installing 5 benches, 5 bistro tables, 13 chairs and installing way-finding signs (directional signage) throughout the downtown. This is the third consecutive year that the CFNIL has granted money to the initiative. In addition to the funding support this year, they also contributed a total of $70,000 in 2014 and 2015. 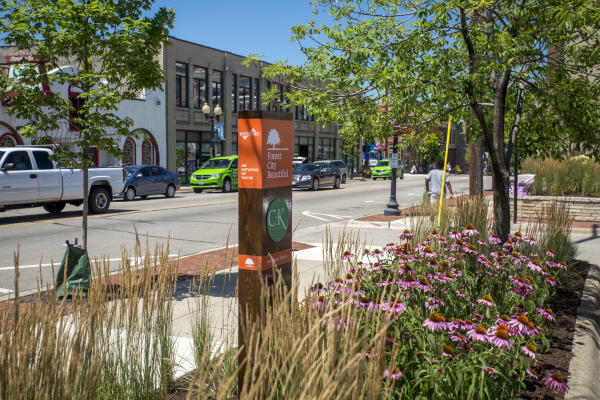 Several of the newly funded features will begin to appear throughout downtown Rockford in the coming months. Two bistro tables and chairs will be placed at the southwest corner of State and First Streets and three will be placed on the north side of State Street between First and Madison Streets (one will be handicap accessible.) Five benches will be strategically placed between Third and Water Streets. Additional trash receptacles will be placed along State Street along with directional way-finding signage for added conveniences. Forest City Beautiful is supported by the generous donations of individuals and organizations in the community. In 2014, RACVB seeded the initiative with $80,000 from its board-designated Wendy Perks Fisher Fund for Innovation and from an initial commitment of $110,000 from the City of Rockford. 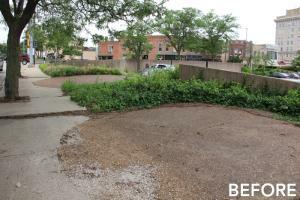 In addition to seed funding from the City and RACVB, more than $120,000 has been raised to support the multi-year beautification effort. In addition more than 2,500 Sharefest volunteers have given their time and talents to this project.